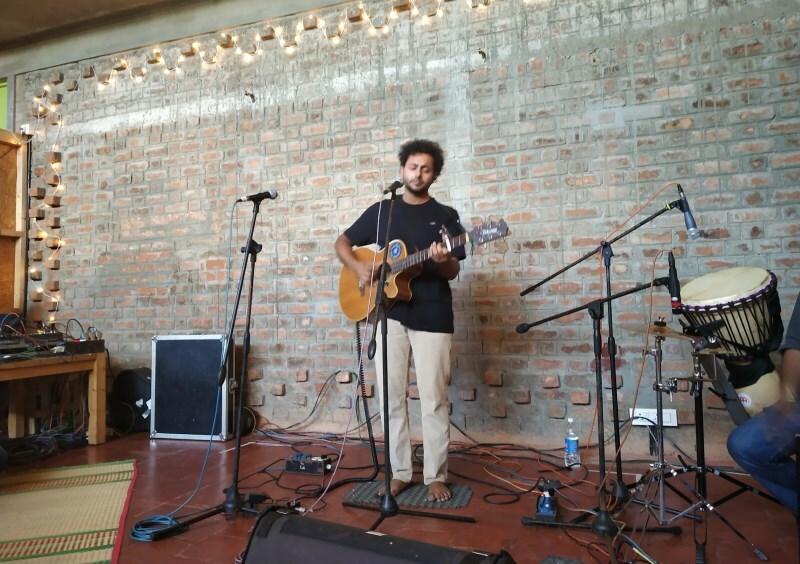 Charumathi Supraja and Bunty Shrestha of the Snehadhara team write about the House Concert held at Untitled Space in JP Nagar on 22nd September. It was just another beautiful House Concert. And yet, it was not just another beautiful House Concert. The simplest joys like swaying to a tune or tapping to a rhythm in a performance space are not easily accessible to some. This concert broke that reality and created a new one. 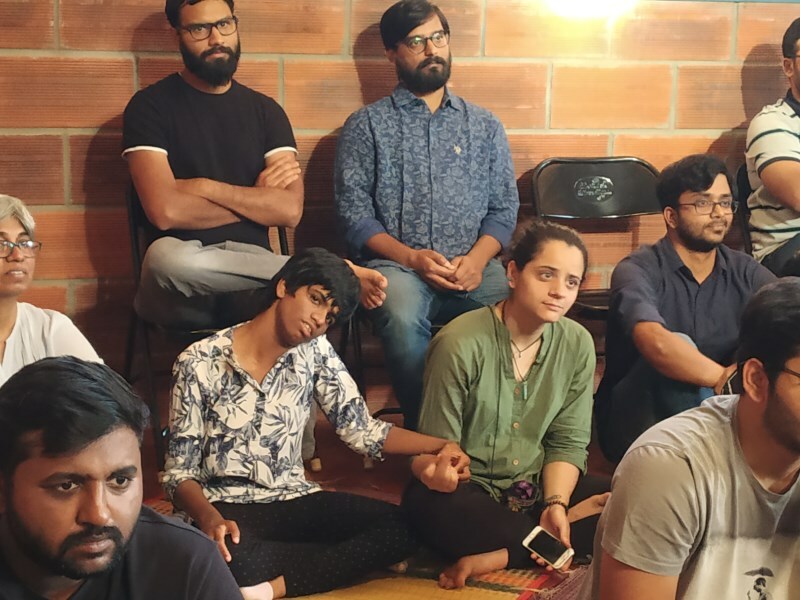 Children and adults from Snehadhara sat alongside many others drinking in the soulful music that Khalid Ahamed (Parvaaz) and Varun Rao brought us on September 22nd at Untitled Space in JP Nagar. Differences disappeared in the face of melody and rhythm. It did not matter that some were oriented to special needs and some were not. Just sharing a space and being present to music fulfilled a need, long held and challenging to meet on a daily basis in mainstream environments. “Inclusion is indeed the gift of presence” and presence is what the music drew out of everyone in the space. More than a few felt overwhelmed during what turned out to be a very memorable evening. The simplicity of the desire to be included, to have access, to be connected and experience joy – does not match the “rationale” or scale of exclusion (if there could ever be logical reasons for disallowing parts of the public in public spaces.) 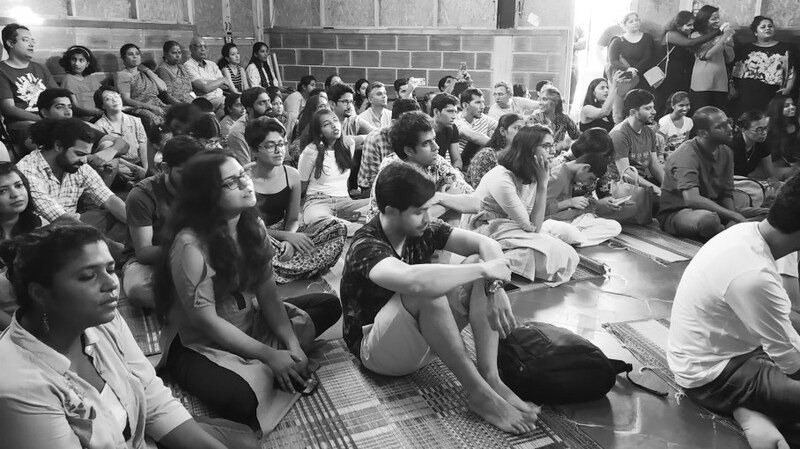 The concert was an eye-opener for many who were invited to visit Snehadhara and get involved. “As I sat in the in-house concert yesterday watching our children, their families and the people whom they might not have met even once in their life, sitting together experiencing some wonderful and soulful music being played, faces of children and adult who did not come constantly popped up in my mind. Each time our student would come I could see joy in faces our each and every team member of Snehadhara. As I sat through and witnessed how beautifully our children merged in a very new environment and how other audience along with the in-house concert people walked along with the children, was very touching. So fortunate our children are that they have such loving parents who walk an extra mile for their children. My sincere gratitude to all the parents for bringing their children for the concert. As my heart was filled with this overwhelming gratitude, in equal proportion sadness and yes somewhere anger was building up for those who did not have try even if they could. The thought: our children are different and they should not be allowed in such public programs is a false, highly overrated, and unstudied hypothesis given by I don’t know who. Parents who fear our children might get overwhelmed by excessive noise, or excessive stimulus around them got a space to test their fear. A big opportunity to the organizers and the team who performed, to have a very new audience who does not response in a typical manner. They had the audience who were telling them we want the music non-stop; who gave amazing cheers and their own singing with them. She wondered what deterred more parents from trying to be part of such a precious attempt and urged that any issues they may be facing, be fixed and more help be offered at an institutional level, so all children can be part of such an event in future. 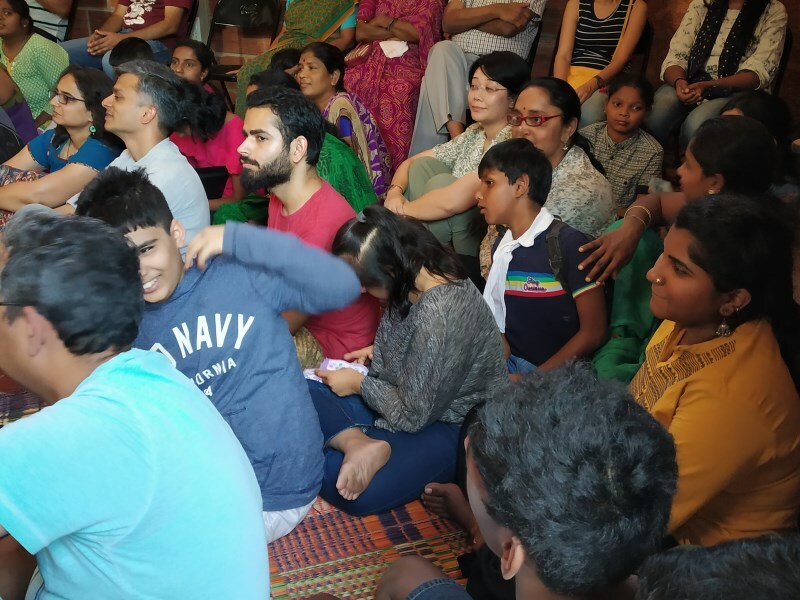 Renewed and refreshed, the facilitators, children and caregivers of Snehadhara look forward to continuing their journeys towards building more connected and compassionate environments for all.